The rubber slippers factory deadly fire in Brgy. Ugong, Valenzuela City on Wednesday afternoon has a total of 72 dead workers. Mayor Rex Gatchalian and the Bureau of Fire Protection confirmed the news. BFP said that there are 72 bodies have already been recovered from the warehouse. And according to Mayor Gatchalian, the recovered bodies was impossible to identify. In the earlier report says, most of the factory workers that were trap and burn are already beyond recognition, that's why the City officials will conducts DNA matching. They will get DNA sample from the remains and to those immediate relatives. Valenzuela Mayor said to AFP, "An investigation is ongoing right now. It will be unfair to assign liability at this point. We are looking at all angles. We will see to it that those who are liable will be punished." According to the report, the 3 dead persons recovered are the factory secretaries Leah Ballesteros and Josie Tee, and the son of factory owner, Tristan Ong. There are many survivors from the said accident, specially those at the first floor of the factory. But those at the second floor were not as lucky. The factory was owned by Kentex Manufacturing, they creating a flip-flop slippers for the local market with brand names like "Havana." 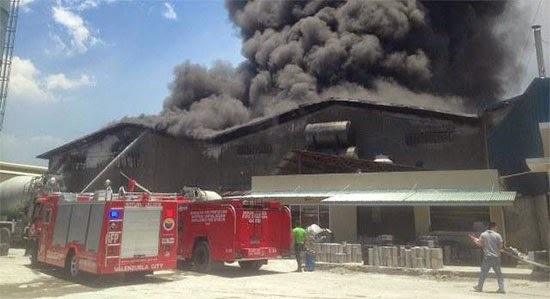 Comments or suggestions about "Death toll increase after Valenzuela Factory Massive Fire" is important to us, you may share it by using the comment box below.